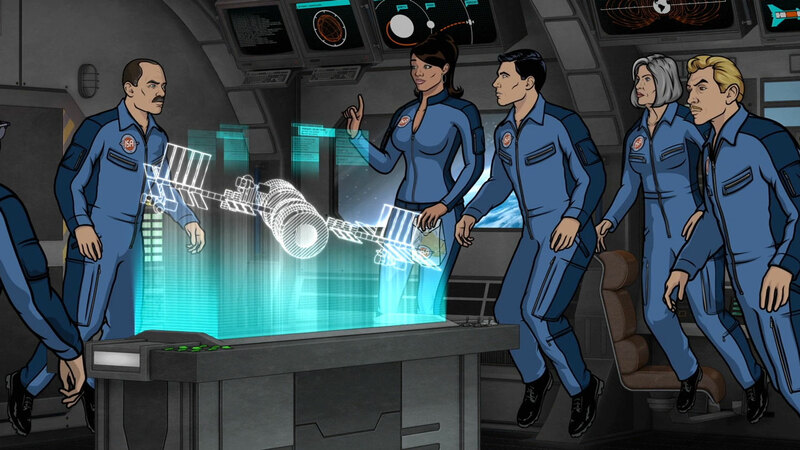 As Lead Motion Graphics Designer on Archer, one of my jobs was to create any and all computer screens that appear in the show. For the two-part season 3 finale, Space Race, I was tasked with creating the look of two completely new operating systems from scratch, one aboard the Intrepid (an advanced NASA shuttle), and the other aboard Horizon (a space station). They both needed to have different styles and colour palettes to match their respective environments, but still look like they originated from the same source. I also created several hologram interfaces and devised a metaphor for portraying the effect of artificial gravity being switched on. The sequences are presented above in an edited form. Each monitor has a single task, with clean lines, a restricted colour palette, and simple illustrations – an approach that's worked well in previous episodes (and 60's and 70's science fiction). 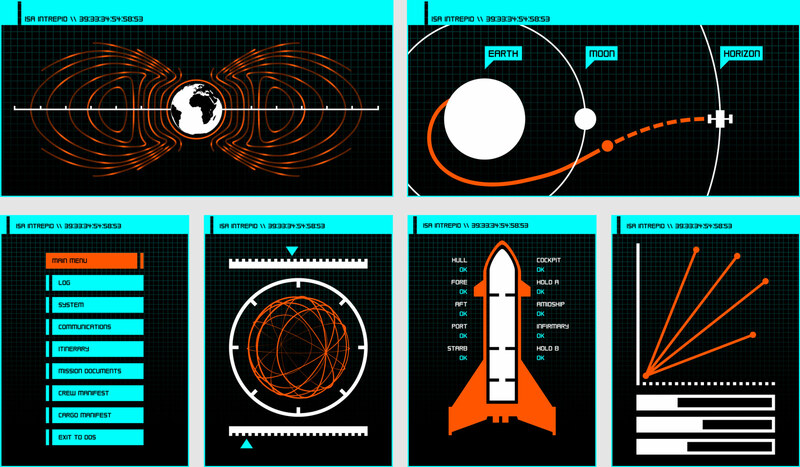 A selection of screens from the space shuttle Intrepid. 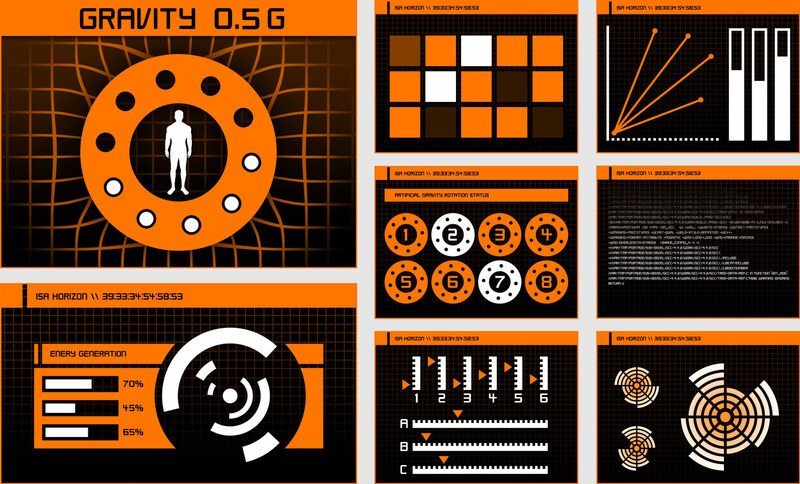 A selection of screens from the space station Horizon.